Mees Tile & Marble, with stores in Louisville and Lexington Kentucky, is a regional importer and distributor of tile granite, marble and other natural stone and quartz. Mees Tile & Marble is a regional importer and distributor of tile and natural stone. Established in 1954, we maintain a large inventory of ceramic, porcelain, glass, and natural stone tile and can custom fabricate natural stone slab material to your specifications. We carry decorative, handmade, hand-painted, and sculpture relief tile ranging in style from hand-molded rustic to imported Italian with the latest colors and designs. Porcelain tile suitable for exterior and commercial use is also available. Our natural stone slab offerings include marble, granite, limestone, travertine and engineered quartz (by Caesarstone), all of which can be custom fabricated to meet your specifications. When buying stone from us, you pay only for the amount you need and not for the entire slab (engineered quartz excluded). With its unmatched beauty, durability, and affordability, natural stone is the ideal material when custom building or remodeling. A great choice for both indoor and outdoor applications, natural stone becomes a focal point in any room and adds real value to a home or business. Our showrooms are staffed with professional designers to assist customers with the selection of ceramic, porcelain and natural stone for their homes. Choosing from a large stock of raw material we can fabricate (in our own production facility) using state-of-the-art equipment. Having both the materials and facilities, Mees Tile & Marble is in a unique position to offer exquisitely crafted material in a timely manner. Our home office is based in Louisville, Kentucky with a location in Lexington, Kentucky as well. Visit one of our showrooms to see how the beauty of stone can add to your project. Let the Designers at Mees Tile & Marble assist you with specifying the material and details that will make your home a showplace. 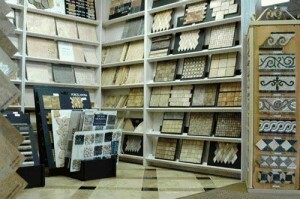 our tile selection includes a variety of domestic and imported products.